What exactly do we mean when we say cookware? The word cookware basically covers all kinds of pots and pans imaginable. And there truly are many different kinds, ranging from ordinary saucepans, stock pots, and frying pans, down to very specialized pots and pans for making jam or candy, for example. The range of options and prices is really wide, so don’t worry if you end up confused while searching for the right cookware to buy. It’s normal and it happens to everyone. And it is exactly why we have prepared this guide that covers all the different materials and types of cookware you can find. Before you set out to find new cookware, there are some questions you need to know the answer to. Deciding on a budget limit before shopping is always a good idea, and you really don’t need to spend a fortune to get good cookware. You just need to know what to look for. First of all, ask yourself, are you looking for individual pieces of cookware or do you want a cookware set? 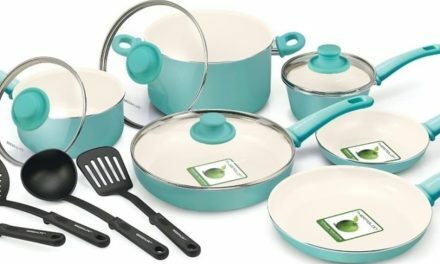 If you are moving into a new apartment or just starting out on your own for the first time, a nice cookware set might be the right choice. 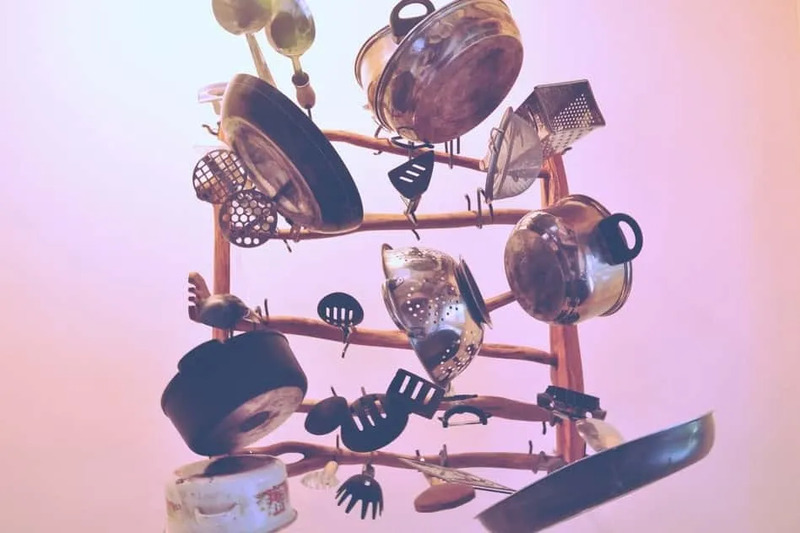 On the other hand, if you already own some pots and pans that you intend to keep on using, then choosing individual pieces might be the better option. For any other questions you might have, look through this guide. We’ve covered almost every type of cookware in existence, so you’ll probably find the information you are looking for. 5.1 Is It Dishwasher Safe? 5.2 What Material Is It Made Of? From pots and pans to various kitchen appliances, you can find stainless steel almost anywhere. It is certainly among the most popular materials used in cookware and there are some very good reasons for this. Before we cover the characteristics and advantages of stainless steel let’s answer a simple question first – what exactly is stainless steel? Stainless steel is an alloy of iron with chromium. Thanks to the chromium part, stainless steel doesn’t rust in contact with water like iron does. In fact, it is completely non-reactive and resistant to rust and corrosion. Stainless steel is also one of the most durable materials you can find. This type of cookware is generally dishwasher-safe. Carbon steel is basically a cross-over between cast iron and stainless steel. Carbon steel pans are lighter than cast iron pans and they are probably just as durable as stainless steel versions. Just like cast iron, carbon steel retains heat really well. Once it gets hot it stays hot which allows you to achieve a steady temperature while cooking. 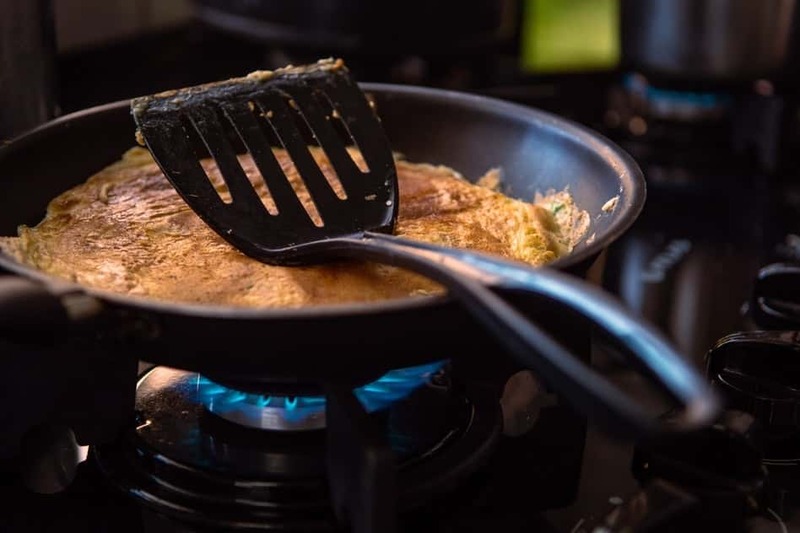 Carbon steel is mostly used for frying pans and skillets because it can react with acidic foods so it’s not suitable for long cooking processes. However, if the pans are seasoned and cared for properly, this shouldn’t be a problem. When we are talking about ceramic cookware, we are actually talking about two different types of cookware. First of all, you can find roasting pans and baking dishes made completely out of ceramic. These dishes are meant to be used in the oven. They provide superb heat retention and they are dishwasher-safe. However, you can not use these dishes on the stovetop. This is why ceramic pots and pans are not actually made completely of ceramic. Instead, they have a metal body with a ceramic coating bonded to it. This way, the non-reactive ceramic coating prevents food from sticking while the metal construction ensures better heat distribution. Many famous chefs swear by copper cookware. This is because copper is one of the best heat conductors out there. Copper cookware heats up fast and cools down just as quickly which allows for amazingly precise heat control. However, copper is a reactive metal which means it can change the taste of the food you are cooking. 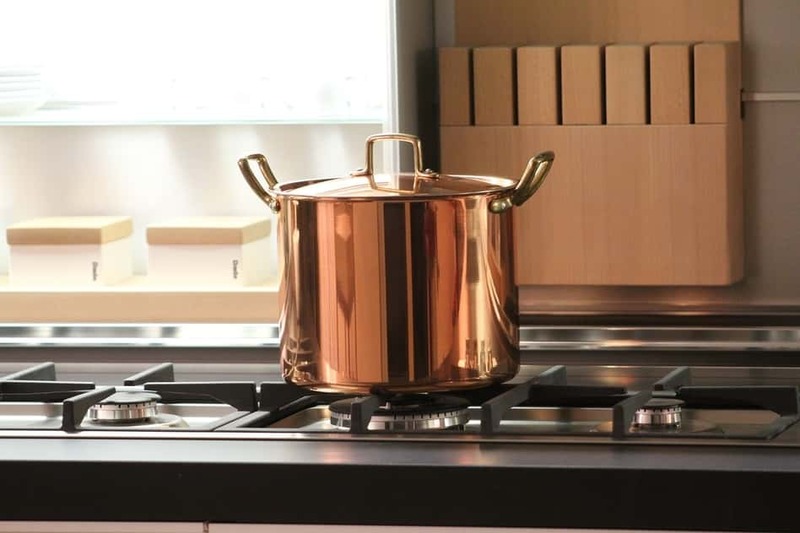 For this reason, copper pots and pans are usually lined with another metal such as stainless steel or tin. All-copper cookware pieces are used only for candy making since reactiveness is not an issue when cooking with sugar. Copper cookware can be more expensive than other options, but it’s well worth the price. Besides steel and iron, aluminum is one of the most common materials used nowadays for making various types of cookware. Aluminum is much lighter than stainless steel and cast iron, but it’s still quite sturdy which makes it the perfect material when it comes to pots and pans you use every day. Furthermore, aluminum cookware is quite affordable and easy to maintain too. Most importantly, aluminum is a very good heat conductor and it heats up really quickly. For this reason, a layer of aluminum is sometimes added to the bottom of stainless steel cookware. 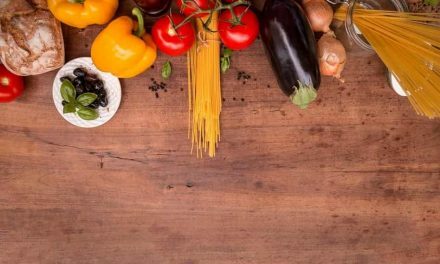 You might have heard that aluminum is not healthy and that it might leach into your food during cooking. But the truth is, according to Psychology Today, the aluminum from the cookware won’t hurt you so aluminum cookware is completely safe to use. Hard anodized cookware is actually made of aluminum too. However, “hard anodized” means that the surface of the cookware has been treated in a special way to make it harder and more durable. The cooking surface of non-stick pots and pans is covered with a special layer that prevents food from sticking and makes it slide right off. The most famous non-stick coating is certainly Teflon, a coating made from food-grade PTFE (polytetraflouroethylene). However, this coating can be dangerous if overheated or if the coating is damaged, but there are many healthier and more eco-friendly non-stick coating alternatives available. Non-stick cookware can be constructed from any metal, the most common being aluminum, followed by stainless steel and copper. Cast iron has been traditionally used to make cookware for centuries in many cultures. It is no wonder, since cast iron is really tough and durable. It is also able to withstand extremely high temperatures and it retains heat really well. Pans and skillets made of cast iron need to be seasoned, though, to prevent food from sticking and to prevent the metal from reacting with the food. However, you can also find cast iron pots and pans covered with and enamel-coating or a non-stick coating. When it comes to cookware, glass is most commonly used to make baking dishes and lids for pots and pans. The glass used for cookware is often tempered glass which is a type of glass which is tougher and harder to break. Glass is non-reactive and it retains heat really well. This makes it perfect for making savory dishes in the oven and roasting meat and vegetables. However, when it comes to baking sweets, glass might not be the right choice. Glass is pretty tough and scratch-resistant, though, so you can scrub your glass pan without worrying about damage. It is also dishwasher safe. Induction hobs are all the rage these days and there are some good reasons for this. Induction hobs heat up faster than any other type of hob and they allow for extremely precise temperature control. Furthermore, induction stovetops are the more energy efficient than any other kind of stovetop, so if you are looking for an eco-friendly hob, induction is definitely the right choice. But how is all of this possible? Induction hobs use a special technology that allows them to heat up the pot or pan by means of magnetic induction. In other words, an electric current is passed from the hob to the pot or pan you are using. However, induction cooktops can be a bit noisy and not all cookware is compatible with them. Gas hobs have been around for a very long time, but many professional chefs still prefer gas hobs. A gas hob will have gas burners typically with a metal grid above that supports the pots and pans. However, you can also find gas hobs called “gas on glass” that have the gas burners covered with a sleek glass surface. This gives the hob a more elegant look and makes it easier to clean. Gas hobs heat up almost instantly and tend to distribute the heat well across the bottom of the pot or pan. Glass hobs and ceramic hobs are, in most cases, made of the same material. This material is called glass-ceramic. It is basically a hybrid between glass and ceramics that combines the best features of both materials. Glass-ceramic can endure quick temperature changes and it is quite hard to break. Underneath the glass-ceramic cooking surface, there are metal coils that radiate the heat. You can set the heat electronically and there are usually heat indicators that tell you which sections of the stovetop are hot. These hobs look quite elegant and they are pretty easy to clean. Although glass-ceramic hobs are technically electric hobs too, what we are talking about when we say electric hob is the old-school electric hobs with sealed plates. These have become less popular nowadays because they are not very energy-efficient. The heating coils are covered by a solid metal plate which heats up slowly and cools down slowly too. However, electric stovetops have their advantages too. They are usually at the lower end of the price scale and they are quite durable. Solid hotplate hobs – found on AGA cookers – are made of cast iron. The AGA cooker was originally created by a by the Nobel Prize-winning Swedish physicist, Gustaf Dalen and it was made with energy-efficiency in mind. The cast iron heats up easily from a small heat source and remains hot which allows for energy-efficient cooking. However, it is hard to control the temperature precisely. AGA hotplates usually have an electric element inside that heats the surface. Halogen hobs also come with glass or ceramic cooking surfaces, but the heating technology is different. Halogen hobs actually use infrared rays to produce heat. This technology allows the cooking surface to heat up almost instantly. You basically get the convenience of electric cooking combined with speed and precision of gas hobs. Furthermore, heat is evenly distributed across the cooking surface so you never have to worry about hot spots appearing. Unlike induction cooktops, halogen stovetops are compatible with all kinds of cookware. Overall, halogen hobs are quite convenient, practical, and easy to clean. A good saucepan is an essential part of any cookware collection. A saucepan is basically a small pot and you’ll find them in sizes ranging from 1 to 4 quarts. Saucepans usually have a rounded bottom and come with one long handle attached and possibly a lid. It’s good to look for a saucepan with a tight-fitting lid. 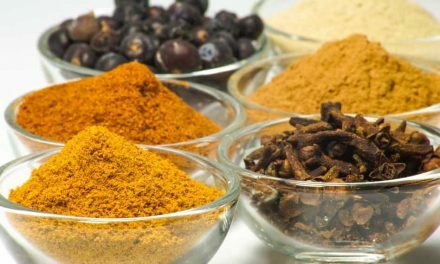 This will allow you to lock the moisture and the flavors in which is really useful for many recipes. You’ll surely find many uses for a saucepan in your kitchen – from boiling water to making soups, sauces, or boiling vegetables and grains. A frying pan is a wide shallow dish with a handle that you use for frying. It’s incredibly useful and one should definitely be present in every kitchen, even if you don’t like cooking with oil. Nonstick frying pans, for example, will allow you to cook with minimal amounts of oil or fat, and the food will still slide right off the pan. This makes them perfect for those who value healthy cooking. Nonstick pans are also perfect for frying eggs and making omelets. For other uses, though, like making stir-fries or meat, you might want to choose a sturdy stainless steel frying pan. Saute pans and frying pans can be quite similar, but the main difference is that a saute pan is slightly deeper and has straight sides. It usually comes with a long handle for one side and a regular handle on the other side. This is useful since a saute pan can get quite heavy so you need to handles to lift it up. Saute pans also usually come with lids. Saute pans are obviously made for sauteing. For the uninitiated, this means cooking foods quickly on relatively high heat with small amounts of oil. They are perfect for searing meat or sauteing vegetables. A wok is a traditional Chinese pan that can be used for a range of cooking techniques. Woks were originally made from cast iron and hatted rounded bottoms because they were used for cooking on open fire. However, if you are using a modern stove, you will need a wok with a flat bottom. Luckily, there are plenty of models with flat bottoms available today. Furthermore, heavy cast iron woks are not the only options anymore. Carbon steel woks have become very popular, but you can also find aluminum, nonstick, copper, and stainless steel versions. A skillet is quite similar to a frying pan. It is a shallow pan with a handle and a large cooking surface. It will usually have a flat bottom and rounded sides. A skillet is quite versatile too as it can be used for various cooking techniques, from frying, over sauteing to searing and browning. 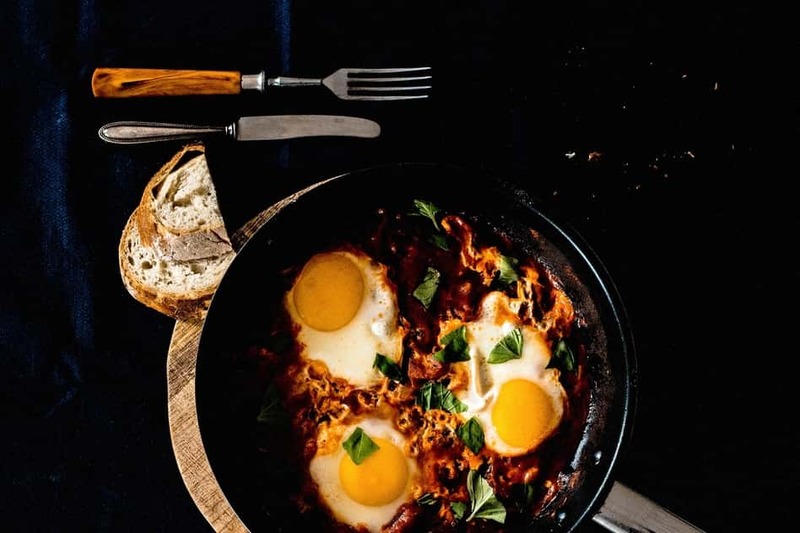 You can find skillets made from a wide range of materials: aluminum, stainless steel, cast iron, and copper are all common options. Aluminum, hard anodized, and non-stick skillets are perfect for everyday use at home. On the other hand, stainless steel skillets are the most durable and virtually indestructible. See our review of the best skillets by category. A griddle is a large piece of cookware that is usually square in shape. It basically looks like a rectangular frying pan. Griddles come with either a flat, non-stick cooking surface or a surface with ridges. Griddles are commonly used to make various breakfast foods. The biggest advantage is that a fairly small amount of oil is required to do so. You can use a griddle to make pancakes, eggs, and hash browns, for example. A griddle with a flat surface is perfect for pancakes, while a griddle with ridges allows you to create beautiful sear marks. A stock pot is a large, deep pot with a flat bottom. They come in various sizes, ranging from 6 quarts to as large as 20 quarts. They are perfect for cooking large batches of liquid foods. The right size will depend on the amount of food you usually cook, and on the number of people you usually cook for. In general, it is good to have one smaller and one larger stock pot, so you have one for every occasion. Stock pots are commonly made of either stainless steel or hard anodized aluminum, although you can find stock pots made from other materials too. A Dutch oven is a large, heavy cooking pot with a tight-fitting lid. It is usually wider quite wide and comes with two heat-proof handles that allow you to lift up this heavy pot. It also features thick walls that retain heat really well. Dutch ovens were originally used for cooking on hot coals, but you can use modern Dutch ovens both on the stovetop and in the oven. Dutch ovens are usually made of seasoned cast iron, but there are also versions with enamel coating instead of seasoning. Today, ceramic Dutch ovens and those made of cast aluminum are also available. See our reviews of the Best Dutch Ovens. A kadhai, also sometimes known in the anglophone world as kadai or karahi, is essentially a type of deep frying pan that comes from India. Kadais are similar to woks in terms of shape. It’s basically a circular bowl with a flat bottom and two handles on the sides. Traditionally, kadhais were made from steel or wrought iron, but today you can find various versions made from a wide variety of materials. Copper and stainless steel are quite common, but you can also find kadais that come with a non-stick surface, just like a normal non-stick pan. An omelet pan is a wide, shallow pan with sloping side and a long handle. 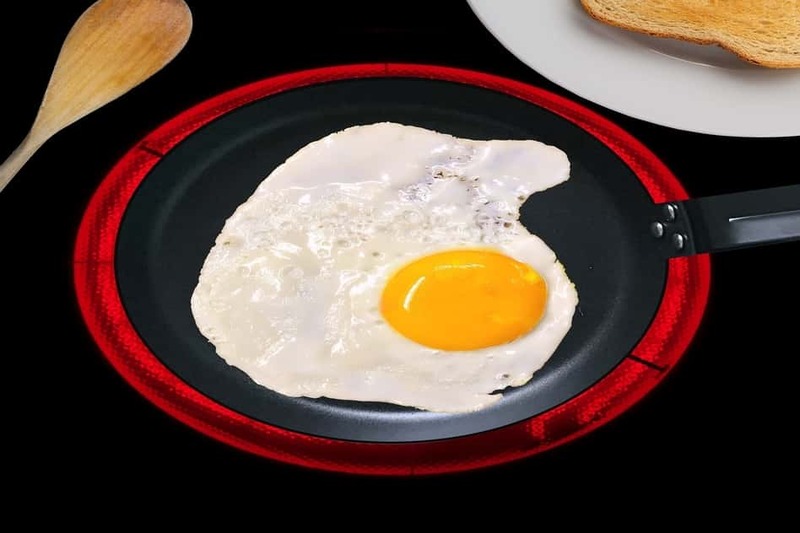 Omelet pans have tick, flat bases that allow them to withstand medium to high heat without burning the eggs, as making omelets generally requires high temperatures. A good omelet pan should also be able to respond to heat changes quickly and allow you to control the temperature precisely. For this reason, omelet pans are usually made from aluminum or hard anodized aluminum with a non-stick coating. Steaming is certainly one of the healthiest ways to cook meats and vegetables. When buying a steamer, you basically have three options. First of all, there are electric steamers that are complete appliances in themselves. However, if you don’t want to get a separate kitchen appliance for steaming your food, there are plenty of options available. You can opt for a steamer pot that has a special steaming part at the top, or get a steamer basket that fits into a regular pot. Steamer baskets are usually made of stainless steel, but you can also find models that are made of heat-resistant silicone. A pasta pot is basically a large pot, similar to a stock pot. You will use it for making pasta, but you can also use it for various other things, like making soups or steaming vegetables. The truth is, everyone needs one large universal pot in their kitchen. Some pasta pots are just like regular pots, but with the addition of a straining lid. Furthermore, you can also find pasta pots that have a large insert that you can lift out to drain the pasta. Many of these pots will come with an additional insert for steaming. A multi-pots, also sometimes called a multi-cooker is one of the most useful appliances you can have in your kitchen. Multi-pots are usually simple and easy to use, and they can perform a wide range of tasks – from roasting, over slow cooking, to steaming. A multi-pot can truly do it all. It can basically substitute a slow cooker, a pressure cooker, a steamer, and a roasting pan. Best of all, many multi-pots are programmable which means you can prepare your meals in advance and have a hot meal waiting for you the moment you walk through the door. You’ll often find recipes that require things to be melted or whisked in a double boiler, especially if you are making sweets. The reason why a double boiler is so special is the fact it lets you heat up things, but not over direct heat. Instead, it offers indirect heat to gently warm up the ingredients. This is especially important when melting chocolate or cheese, for example. Dedicated double boilers will have two compartments – the bottom one is for boiling water that heats up the top compartment. Some double boiler can double as a saucepan thanks to removable parts, but you can also get a double boiler insert that you can use with a regular saucepan. Hardly anyone can fire up a grill any time they feel like it, but a grill pan is there to solve this problem. It brings the taste of grilled meat and/or veggies right to your stovetop. Though nothing can create the unique smokey taste of cooking over an open flame, a grill pan does create beautiful sear marks on your food. It is basically a heavy pan with ridges across the cooking surface. Grill pans can be either round or square and there are also some rectangular models that fit over two burners on the stove to maximize the grilling surface. A roasting pan is similar to a baking pan, but, as the name says, it’s made for roasting meats. A good roasting pan is usually slightly deeper than a baking dish and big enough to fit a small bird or a large roast. Roasting pans often come with a rack that sits inside the pan and keeps the roasting meat lifted off the bottom. This way, the juices can drip down and the meat stays above. Vegetables can be put at the bottom of the pan so they can absorb the drippings from the roast. Roasting pans are usually made of cast iron, aluminum, or stainless steel, but they can also be made of clay or glass. A chef’s pan is a versatile pan of medium depth. It is deeper than a frying pan and also a bit deeper than a saute pan. A chef’s pan is usually quite wide with sloping sides, although the side can also sometimes be straight. Chef’s pans come in various sizes, ranging from 2 quarts to 6 quarts. They also come with a tight-fitting lid, and in most cases, they are also oven safe. As such, a chef’s pan can perform a wide variety of functions in the kitchen, including frying, sauteing, and making sauces. Braising is a specific cooking method that starts with searing or sauteing and ends with a slow simmer in a certain amount of liquid. Braising can be done in various pots or pans, but a braiser will give you the best possible results. It is a wide, thick-walled pan with a tight-fitting lid. Braisers are usually made of enameled cast iron, but you can also find stainless steel and hard anodized aluminum versions. A casserole is similar to a baking pan, but it needs to be deep enough to hold a casserole. Casseroles need to be oven safe and capable of withstanding high temperatures. You can find casseroles in various sizes and they can be either square or round in shape. A good casserole needs to be able to retain heat really well too. For this reason, casseroles are made of specific materials. Ceramics, glass, or enameled cast iron are used often. Casseroles also look very nice which makes them perfect for serving food too! Every kitchen needs at least one good baking dish. Now, there are many kinds of baking dishes, some of which are made for very specific purposes. Springform pans, muffin tins, and pie pans all fall into this category. However, most of these tasks can also be done with one square, medium-sized and medium deep baking dish. While traditionally they were made of metal, baking dishes are made of various materials today. You can find ceramic and glass versions, although metals like hard anodized aluminum and stainless steel are still the best heat conductors. Silicone baking pans in various shapes and sizes are also becoming quite popular. A milk pan’s basic purpose is warming milk, but it can also be used for various other tasks in the kitchen like making sauces. A milk pan looks like a small saucepan, with one long handle and a small spout that allows you to pour the liquid out without making a mess. Milk tends to burn quickly, though, so a good milk pan needs to have a nice thick base that provides even heat distribution. 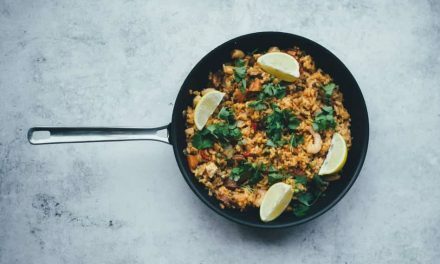 Making a perfect paella is impossible without a paella pan. However, it also works great for various other tasks such as sauteing or cooking meat or fish. Paella pans are round, wide, and quite shallow, with a sloping side. They do not come with lids since paella is supposed to be cooked without a lid on. There are two handles on the sides that allow for easier stirring and handling. The shape of the pan is perfect for sauteing ingredients first and then allowing rice to cook in a thin layer. Paella pans are usually made of carbon steel, stainless steel, or enameled steel which allows for easier cleaning. A crepe pan is a wide, shallow pan with a long handle. This pan allows you to successfully make perfect, thin crepes. As such, it needs to have a flat bottom and gently sloping sides that allow you to slide the crepe off gently. When it comes to making crepes, non-stick pans definitely work best since a crepe should never stick to the pan in order to come out perfect. These pans also work great for making omelets. A maslin pan is a traditional piece of cookware used for making jam, marmalade, and similar things. When making jam and other preserves, an important part of the process is letting the water evaporate from the fruit so a concentrate of fruit and sugar can be created. Maslin pans are usually made of either stainless steel, copper, or aluminum. They are quite large and heavy, but they have one large handle that goes across the top of the pan and allows you to lift it up easily. If eggs are a regular part of your breakfast, an egg poacher can definitely make your life easier. Egg poachers come in many different shapes and sizes. There is a wide variety of egg poachers available today in different shapes and styles, ranging from individual metal or silicone cups, down to dedicated pans with four or six separate cups. If you want to stay flexible, you might want to get multiple single-egg poaching cups, but if you cook for the whole family a large, 6-egg poacher is the right one for you. In the end, it all comes down to personal preference. Pressure cooking was invented in the 17th century by a French physicist, Denis Papin, and ever since then, humanity has been endowed with the ability to cook food much faster. Pressure cooking works on a simple principle – as steam is generated inside a tightly sealed pot, the pressure builds up too and the foods cook faster. What can you cook in a pressure cooker? Literally anything, although it is most commonly used for beans, grains, and similar dishes that need a long time to cook. Today, you can choose between a simple stovetop pressure cooker or an electric pressure cooker which is a whole separate kitchen appliance. There are many options available out there when it comes to cookware. However, if you want to make the absolute best choice for your style of cooking, you need to familiarize yourself with cookware terminology. The truth is, it can all be a bit confusing sometimes, even if you are a true cookware connoisseur. This is why this guide is here. So, we often see the words coating or cladding appear in the descriptions of pots and pans, but what exactly do they mean? Cladding refers to a process of bonding two different metals together, while coating simply means that a thin layer of some other material has been applied to a pot or pan. As we already mentioned, cladding means placing layers of two different metals together. You’ll often encounter clad stainless steel pots and pans, and when it comes to stainless steel this is definitely the best option. Namely, while the outside and inside layers are made of stainless steel, there will be an inside layer of a different metal, usually aluminum or copper, sandwiched between the stainless steel layers. Why does a pot need to have so many layers? Well, although stainless steel is very durable and impact-resistant, it is not the best heat conductor out there. Copper and aluminum, on the other hand, conduct heat much better. The middle layer made from this metal allows the pot or pan to heat up much more quickly and evenly. Some pots and pans are marketed as “clad”, “but only contain an encapsulated disk of aluminum or copper in the bottom of the pan (there is no inner layer on the sides). Pots and pans with encapsulated discs might produce some noise if placed on induction stovetops, but this doesn’t mean there is anything wrong with them. In fact, they are still decent options. Cladding is also used in the manufacturing of copper cookware. Copper is a reactive metal, and it shouldn’t come into prolonged contact with the food you are cooking. For this reason, copper pots and pans often have the inside layer made of a non-reactive metal, such as stainless steel. One of the greatest advancements on modern cooking was the invention of the non-stick coating. This coating is applied to the cooking surface of the pot or pan in a thin layer and it prevents the food from sticking to it. However, there are actually quite a few different varieties of non-stick coating used in cookware today. The first non-stick coating ever was PTFE, later trademarked as Teflon. PTFE was invented in 1938 and it has been used as a cookware coating since the 1960’s. However, there are some health concerns connected with Teflon cookware. Namely, Teflon starts degrading at temperatures higher than 500 degrees Fahrenheit, and harmful chemicals are released. However, it is completely safe if used at recommended temperatures. Furthermore, there various PTFE-free non-stick coatings available today, such as ceramic non-stick coating. Ceramic or titanium powder is sometimes mixed with the non-stick coating to create a stronger protective layer that is also more durable. Finally, hard anodized aluminum has a very similar effect to non-stick coatings, but anodization is actually neither coating nor cladding. It actually means that aluminum has been subjected to an electrolytic process that creates a layer of oxide on the surface of the pot or pan. After this process, the surface becomes less sticky, non-porous, and non-reactive. Once you get a new piece of cookware, or a whole set, it easily becomes the favorite part of your kitchen. However, it’s good to know how exactly to care for your cookware if you want to avoid causing irreparable damage. Caring for your cookware always means washing it on a regular basis and using it according to the recommendations of the manufacturer. However, when it comes to cleaning and maintenance, some aspect will depend on the type of cookware. Therefore, there are two questions you need to ask in order to know how to care for your cookware – what material is it made of and is it dishwasher safe? For many people, washing dishes by hand is their worst nightmare. We agree, it can be really boring and troublesome. 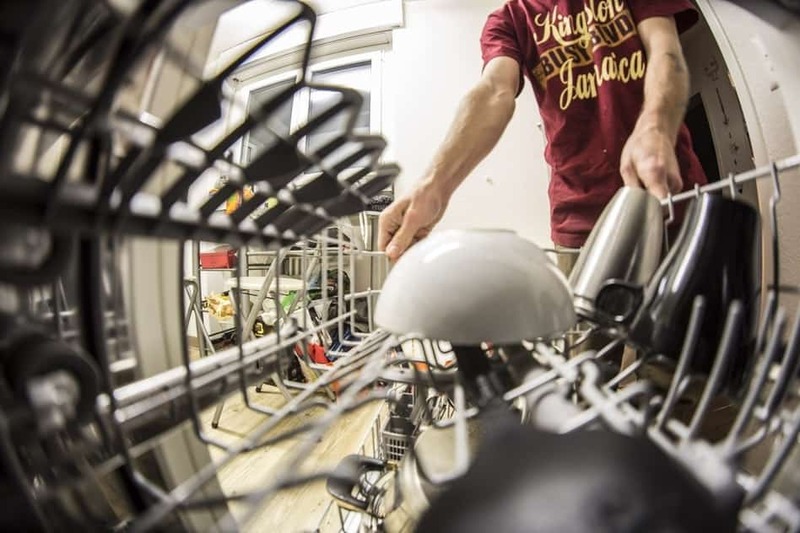 This is why many of us like to use the dishwasher. Automatic dishwashers are good at cleaning the dishes thoroughly, but they are also very tough on cookware. For this reason, some types of cookware can be safely washed in the dishwasher while for others this is not recommended. If you put dishes that are not dishwasher-safe in the dishwasher, you might end up with ruined cookware, even after just one cycle. So how do you know if your cookware is dishwasher-safe? Well, if it is, it will usually be stated right on the packaging, but this is not always the case. As a rule of thumb, stainless steel, glass, ceramic, and silicone cookware is usually dishwasher-safe. On the other hand, hard anodized aluminum cookware and non-stick cookware is often not dishwasher-safe. However, manufacturers are making some advancements in this regard, so you can also find non-stick cookware that is dishwasher safe. Cast iron cookware should never go into a dishwasher. With copper, too, washing in the dishwasher might lead to discoloration. In general, most cookware should be washed with warm water. For best results, this should be done immediately after use. With tougher stains and burnt food, you can leave the cookware soaked in soapy water for a couple of hours, which should make it easier to wash. However, the correct way to care for cookware also highly depends on the material it is made of. In order to keep the non-stick surface in a good state as long as possible, non-stick cookware should always be cleaned immediately after use. Warm soapy water should be enough in most cases. Keep in mind that metal utensils shouldn’t be used with non-stick cookware. It is generally not dishwasher safe either. Stainless steel is quite durable and resistant to scratches, so you can really get in there and scrub without worries. If you really want to keep the shiny finish on your pot or pan, just use a sponge without a rough surface. If you are persistent, this should be enough in most cases. To prevent watermarks from forming, you should wipe your dishes with a soft cloth immediately after washing them. To remove water stains from stainless steel cookware, just apply a bit of vinegar to a cloth and rub until the stain is gone. Caring for uncoated cast iron cookware is a whole different story. In general, soap and detergents should never be used with cast iron. It also shouldn’t be soaked in water for long periods of time. This is because cast iron pans need to be seasoned, and soap and water damage the seasoning.